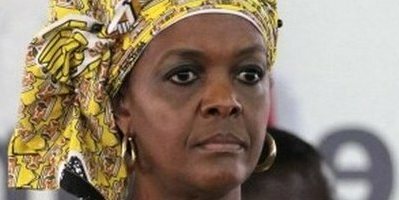 HARARE – Former first lady Grace Mugabe’s sister, Shuvayi Gumbochuma, was dragged to court yesterday on allegations of fraudulently processing the sale of State land before paying for it. She appeared before Harare provincial magistrate Elisha Singano and was released on $500 bail with conditions to continue residing at her current address, not to interfere with investigations and report twice a week at Concession Police Station. Gumbochuma will be back in court on October 23. Prosecutor Michael Reza alleged that sometime in August 2014, stands number 139 and 140 Gillingham Estate in Dzivaresekwa were available for sale to land developers who had the capacity to develop the property into high density residential stands. The court heard that Gumbochuma then made an application with the Local Government ministry and was offered the land on March 27, 2015. It was alleged that she received an offer letter of approval and was required to pay $424 426 to the ministry. However, Gumbochuma did not pay the money nor develop the land. The court heard that she created a company called Scanlen (Private) Limited as an alleged means to further her fraudulent plans and that between August and October 2017, Gumbochuma then sold the land to N-Frays for $2 060 000 without paying for the land. According to the State, Gumbochuma erred by distorting the value of State land from $424 426 to an inflated value of $2 060 000. Using the same modus operandi, she reportedly applied for another piece of land under a company called Rodonior (Private) Limited and misrepresented that the firm was registered, when that was not the case. Rodonior was allocated 150 hectares in Good Hope. Using the same company, Gumbochuma also applied for land in Chishawasha B in Goromonzi and was granted the request on August 4, 2016. She was allocated 20 hectares of land but the offer was later withdrawn on September 15, 2016 after it was established that she had used unregistered companies to apply for the land.